One dual-hinged articulating arm for easy, one-touch screen adjustment. A fold-away design, allowing 14.46" of extension and folding flat to within 2.3" of the wall. Integrated cable management to keep necessary cables safely and neatly out of the way. ± 5° roll to level screen horizontally. 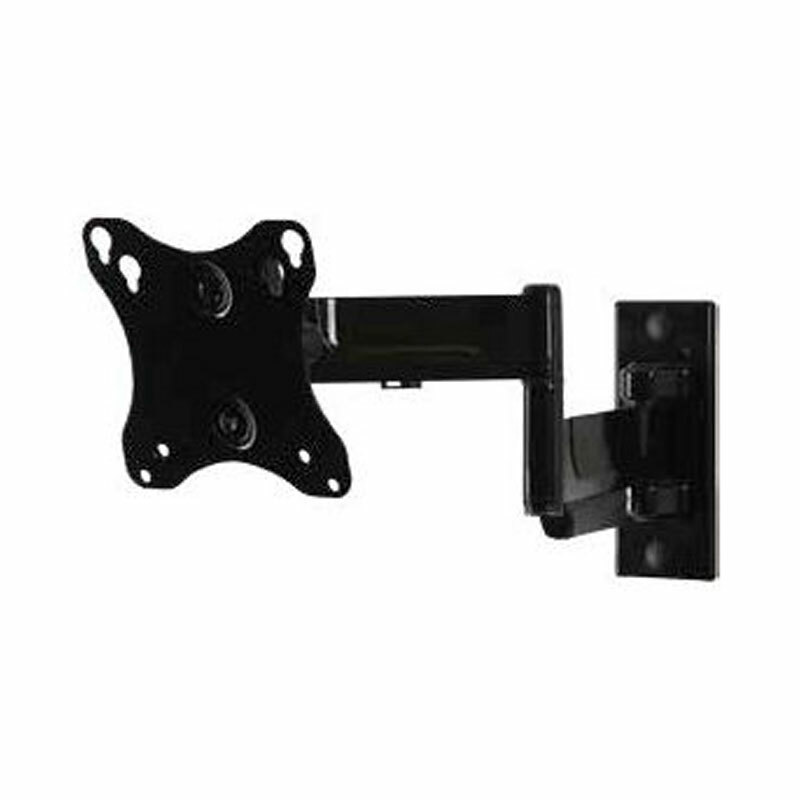 VESA® 75x75mm and 100x100mm compatibility. A high gloss, powdercoat finish, available in black. 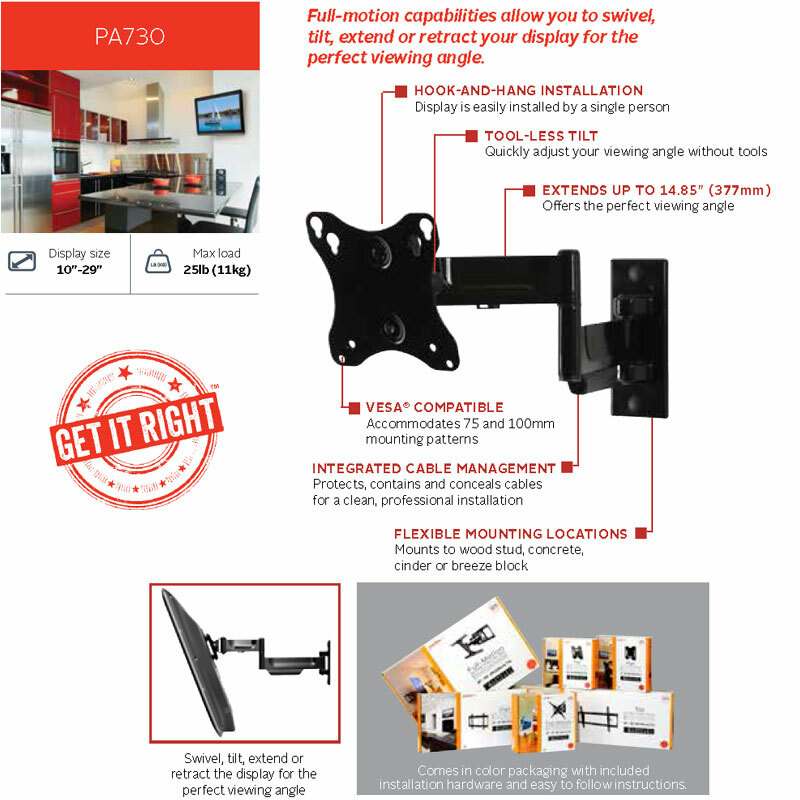 Pre-assembled shipping (with all necessary hardware included) for quick, convenient installation. 15-29" screens up to 25 lbs with VESA® 75 or 100mm mounting patterns. 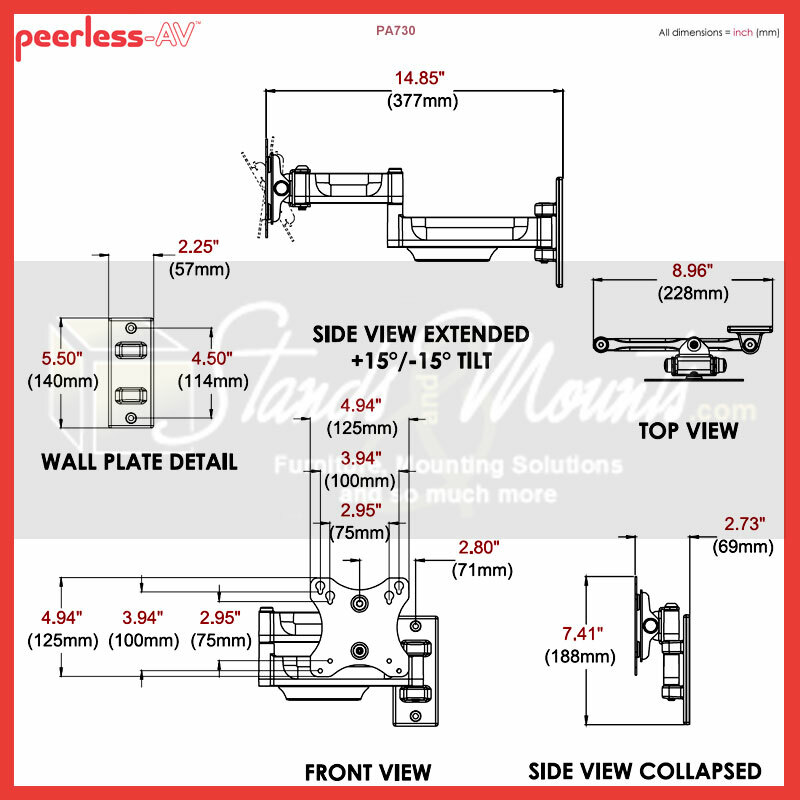 Please use Peerless' Mount Finder tool to select the appropriate model for your screen. Sound confusing? Call our Sales Team for help! Depth: 02.73 - 14.85 in.